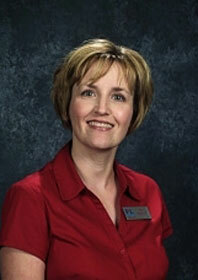 Ann Herbener is a college counselor at Papillion-La Vista High School in Omaha, Nebraska. She has 11 years of experience as a college counselor. Ann holds a B.S. in education, English, and history from the University of Nebraska—Lincoln and an M.S. in counseling and an M.S. in educational administration from the University of Nebraska—Kearney. She is a member of NACAC, Great Plains ACAC, and the Nebraska School Counseling Association. College is a great time of growth—personally and academically. College was a special time in my own life and I wanted to help my students make it the same for them. I enjoy watching my students grow during their senior year and then make that transition to college. What are some of the common challenges your students (and their parents) are currently facing in the college admissions process? Financial hardship is the biggest obstacle for my students. They're in the middle like most of the students in the United States. They make too much money to qualify for financial aid, but not enough to pay for their college expenses. I also have many students whose parents didn't attend college, so this is all new for the whole family. My main goal is to provide students and families with the education and tools they need to make the best decisions possible. We begin early in the students' classrooms and educate parents through various forms of communication as well as organized parent programming. If families and students take college prep steps early, they will have a successful transition to college. I always tell my seniors, "No regrets." I don't want them to look back and say, "I wish..." I want them to find the best fit for the lowest price. When I first began college counseling, I gave about five ACT fee waivers. Last year, I gave 75. My students are applying to colleges in our city and are choosing to live at home to cut costs. Educate yourself. Take part in your professional organizations like NACAC. Talk to admission reps when they visit your school. What are some common misconceptions that students have going into the college admissions process? The biggest misconception students have is that private colleges and universities are too expensive. It takes repetition on my part and that of the admissions representatives to convince them that private colleges can sometimes be more affordable than public universities. YES! Parents are concerned about the price tag. The goal is to get everyone -- parents and students -- on the same page. Communication is key, making sure all parties have the same information. An individual meeting including parents can keep that communication open. Ultimately, I encourage parents to understand that the decision lies with the student with input from the parents. Have you seen students successfully use social media (Facebook, Twitter, YouTube, etc.) as a tool in the college admissions process? How do you advise students to edit their online presence? My students interact with college admission representatives through Facebook, in particular. They ask questions and research through this form of social media. I advise my students to be careful about what they put on their own Facebook pages. Don't put anything on the page that you wouldn't want your grandmother to see! First, counselors need to understand testing. Improving SAT and ACT scores should be a school-based goal, not just one for the college counselor. Classroom interventions and preparation should be encouraged for all students. Through guidance lessons and parent nights, I give them the basic information about scholarships and the FAFSA. Then through individual appointments, I answer questions and sometimes help students complete the FAFSA. They need to apply and apply early. Describe what are, in your opinion, a few of the cornerstones of a successful college admissions essay. Creativity and a student's personal voice are most important. Research by the student and discussion between the two of us help the student narrow down his or her list of schools. Most important, students need to put aside strategy and just be themselves. My proudest moments are when a student earns admission and scholarship funds and who otherwise would not have attended college. The proud faces of those parents of a first generation college students make the job worthwhile. Favorite place you've traveled to: Disney World, simply for the look on my children's faces. Favorite college memory: Performing at Orange Bowl games with the University of Nebraska marching band. Five people you would invite to a dinner party: Ricky Gervais, Mel Brooks, Don Rickles, Jerry Seinfeld, and my dad -- my favorite comedians. I like to laugh! Your personal motto: No regrets.